A follow-up, The Birth of the Clinic, appeared in 1963, introducing the notion of the “medical gaze,” a cold, probing ideological instrument that dehumanizes patients and allows people to be made into objects of experimentation. Foucault tended to view the world through a particularly grim, claustrophobic, even paranoid lens, though one arguably warranted by the well-documented histories he unearthed and the contemporary technocratic police states they gave rise to. But Foucault also insisted that in all relations of power, “there is necessarily the possibility of resistance.” His own forms of resistance tended toward political activism, adventurous sexual exploits, Zen meditation, and drugs. He grew pot on his balcony in Paris, did cocaine, smoked opium, and “deanatomized the localization of pleasure,” as he put it, with LSD. The experimentation constituted what he called a “limit experience” that transgressed the boundaries of a socially-imposed identity. We went to Zabriskie Point to see Venus appear. Michael placed speakers all around us, as no one else was there, and we listened to Elisabeth Schwarzkopf sing Richard Strauss’s, Four Last Songs. I saw tears in Foucault’s eyes. We went into one of the hollows and laid on our backs, like James Turrell’s volcano, and watched Venus come forth and the stars come out later. We stayed at Zabriskie Point for about ten hours. There were some people, notes interviewer Heather Dundas, who believed that Wade’s experiment was unethical, that he had been “reckless with Foucault’s welfare.” To this challenge Wade replies, “Foucault was well aware of what was involved, and we were with him the entire time.” Asked whether he thought of the repercussions to his own career, however, he replies, “in retrospect, I should have.” Two years later, he left Claremont and could not find another full-time academic position. After obtaining a nursing license, he made a career as a nurse at the Los Angeles County Psychiatric Hospital and Ventura County Hospital, exactly the sort of institutions Foucault had found so threatening in his earlier work. Wade also authored a 121-page account of the Death Valley trip, and in 1978 published Chez Foucault, a mimeographed fanzine introduction to the philosopher's work, including an unpublished interview with Foucault. For his part, Foucault threw himself vigorously into the final phase of his career, in which he developed his concept of biopower, an ethical theory of self-care and a critical take on classical philosophical and religious themes about the nature of truth and subjectivity. He spent the last 9 years of his life pursuing the new pathways of thought that opened to him during those extraordinary ten hours under the hot sun and cool stars of the Death Valley desert. You can read the complete interview with Wade at BoomCalifornia.com. Do you guys ever have any origianl ideas about philosophy articles, or do you always steal someone else’s ideas and just repackage them, as here ? 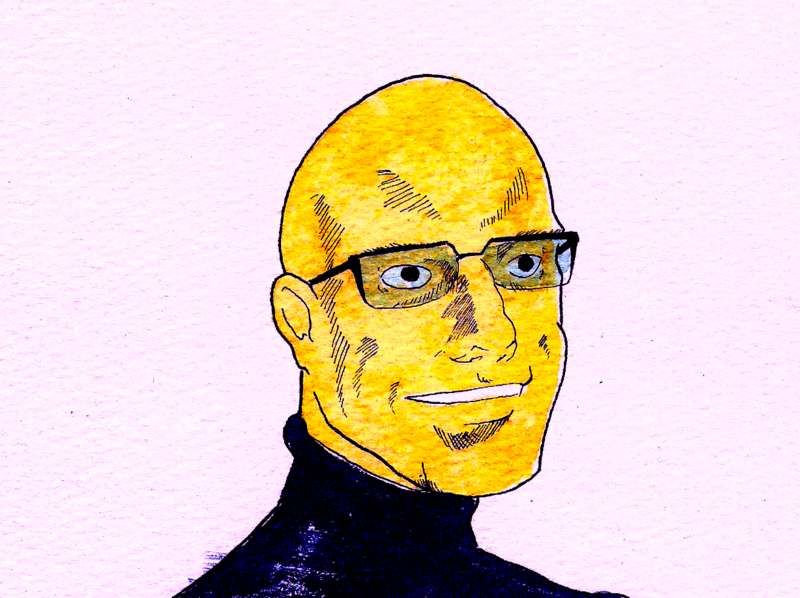 The foucault on acid article from boom has been floating around for two weeks. Youve added nothing to it here, except the false illusion that OC had the idea. We have to wait until the last line for an acknowledgement that everything we hhave just read had been cribbed from a better original source. Is thst whst “open” means ? Your caustic take on our site is duly noted. That said, I will just point out that we linked to the BoomCalifornia interview 6 times in 7 paragraphs. The source material for this post was hardly concealed. It was there for anyone who bothered to pay attention, including yourself. Also Boom California’s post is mostly an interview. It didn’t provide much context. So we did, and that counts for something. Sometimes we publish pieces with added original takes on a text and sometimes we “repackage” other texts, like this interview, with added context and additional material–such as the documentary and links to Foucault’s talks, essays, etc. Both of these types of posts are of interest to our readers. Your comment, on the other hand, adds nothing. I’d like to add something, as a reader. Despite the claim that this article has been ‘floating around for two weeks’, I had not seen it before. And though I was unfamiliar with this specific interview, I have encountered the story of Foucault’s acid trip many times, and yet I still enjoyed this additional take on it. Just because you have seen something on the internet doesn’t mean everyone else has. Even if you have seen something before, there is always the possibility of learning something new about that which is familiar. Before crying ‘repost!’, please consider that someone else may be finding the value that you can’t or won’t. I also vigorously disagree that this post was ‘stealing someone else’s ideas’, since the source is made pretty clear; citation is not theft. The author also does a good job of providing additional context to frame their citation in a way which enhances the reader’s experience, and I, for one, appreciate this. In general, I find this blog’s content fascinating and very well-curated. I often find myself extremely puzzled by nonconstructive and angry comments like the one above that all too often seem to reflect a very minimal engagement with the actual content of the blog. My wish is that more commentators would spend more time considering the bigger picture, including the perspective of others, before committing their comment to internet posterity. Genuinely appreciate the kind words!